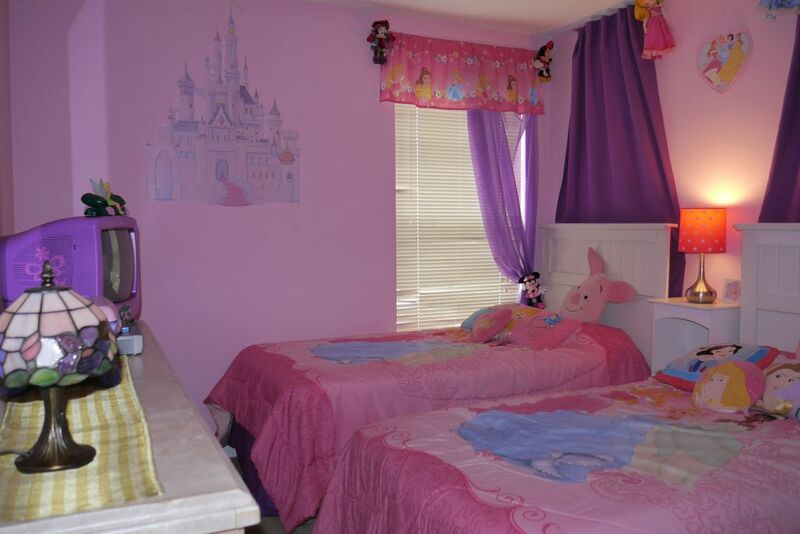 The perfect place to stay for a family who wants to be close to Disney!! Emerald Island Resort was the perfect choice for our family. We felt very safe and it was extra clean. The home that we stayed in was decorated to make the Disney experience real for the kids. They were awe struck when they opened the doors to their rooms. The game room was enjoyed by all just about every night and the pool was a bonus on the last day for the girls that didn't want to make the night visit back to Disney. We had a great time at this location as it was close to everything we needed. I would recommend any family who is going to be visiting the area to check this location out. Thanks so much to the owners for so graciously allowing us to share their home. Great all-around visit!!!! Really clean, comfortable size, wonderfull pool and jacuzzi. The kitchen had all we needed. The kids love it! Really close to parks. Will stay again in the future. Thanks! Our family enjoyed the beautiful the house! We had a wonderful time staying in this home. Our granddaughters, 8-12 age group, loved the decorations, the pool, hottub, and how close we were to Disney. Sue and Gary were great, and we would highly recommend staying with them again! Perfect for two families. Two master suites (not Kings) and two rooms for kids. Three nice baths. Kitchen is large enough for two cooks. Clean upon check in. Did not get to use pool but was pretty to look at. Plenty of room for watching TV.